I am very happy to report the re-issue of ‘Interaction’. For many years I lost both masters and despite asking various people whom have a copy of this, I had to wait for Al Conroy of Not Half to step forward and sending me both tapes as digital file. 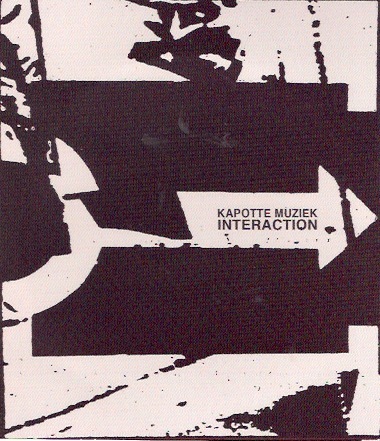 Interaction was a two tape release, on two different labels, which one could play solo or together, with the option to freely mix both tapes together. Very much a Kapotte Muziek idea of that time – 1990. It comes, like two previous re-issues on Lunhare with a Freiband remix – two actually, one on each CDR. Lunhare has now re-released four CDRs of old Kapotte Muziek stuff and I am very grateful to them. Who knows, maybe more in the future!